– The cycles of poverty unbroken among the poor. – Bravery of the young, and wisdom of the old. – Complex emotions that occur in human romance. Not to be lost is the proto-type of Christianity in the story. Jean Valjean is the character who has received grace, and so now he freely gives grace. Javert is the “rule-keeper,” who looks down on others who don’t follow the law (sounds a lot like a Pharisee or a fundamentalist). I see a lot of myself in both characters. A great piece of art evokes passion, opinion, debate and keeps you thinking . 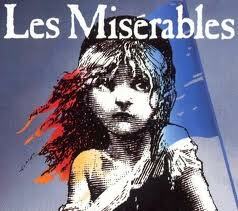 . . Well done, Les Mis!